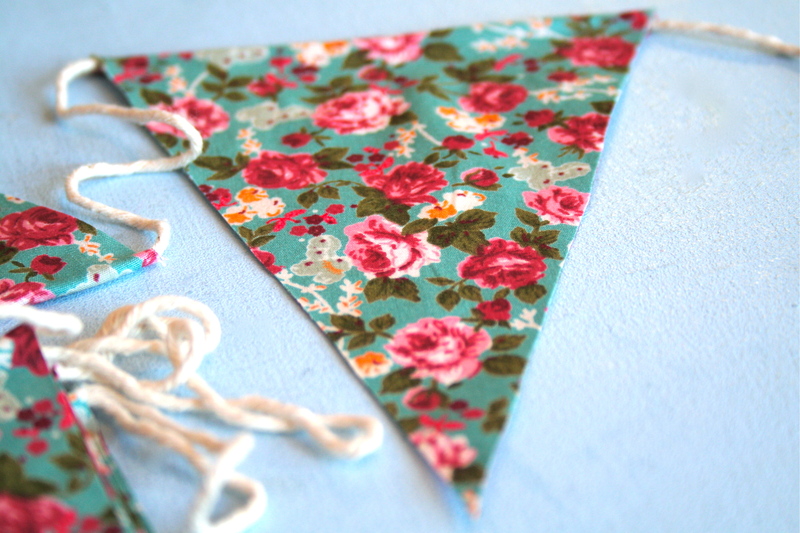 This week I made lots of new bunting from some gorgeous floral fabrics. 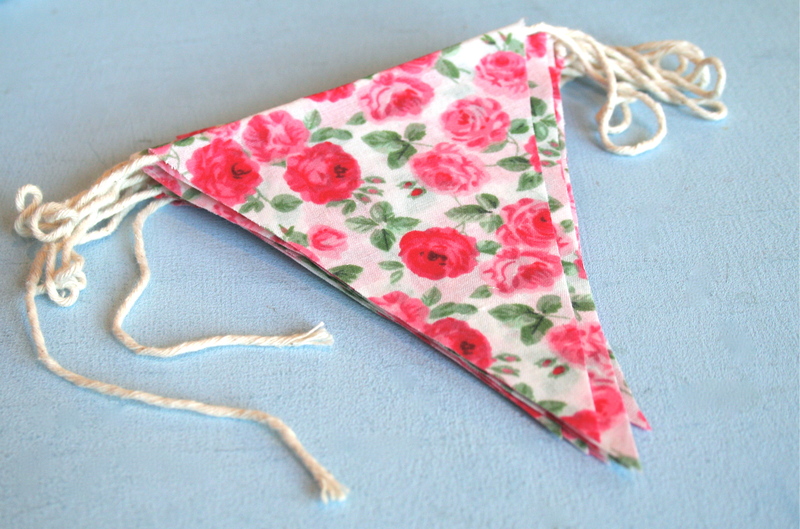 Each length contains 10 flags and is approximately just over 2m long (so they’re quite a bit longer that my usual paper bunting!) 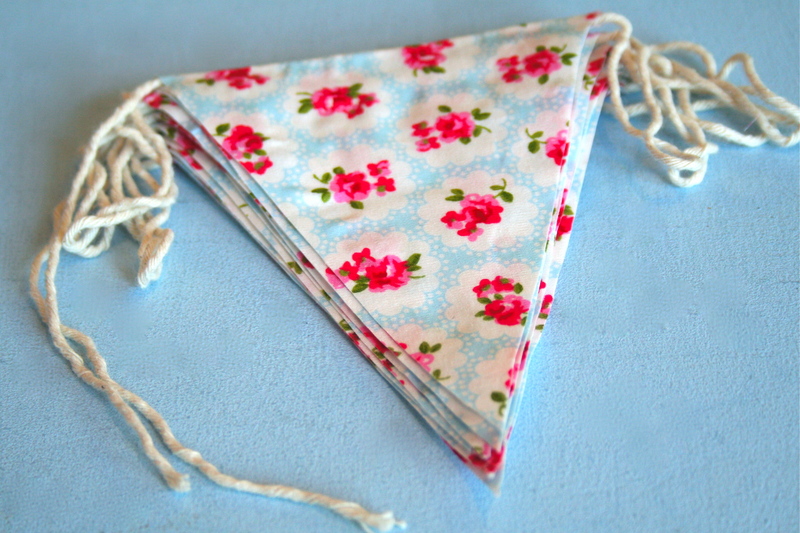 They’re available to buy for £5 each in my shop in Afflecks, and I’ll be adding them to Etsy this weekend! Pretty. 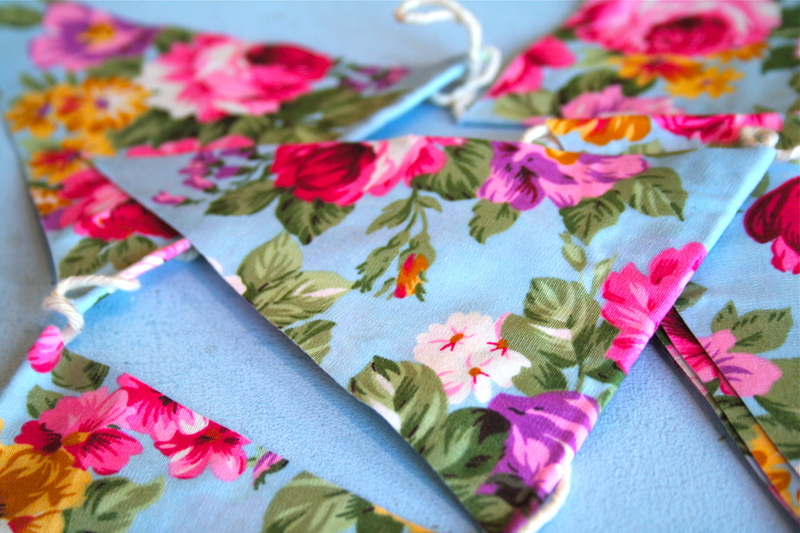 I love the floral fabric!